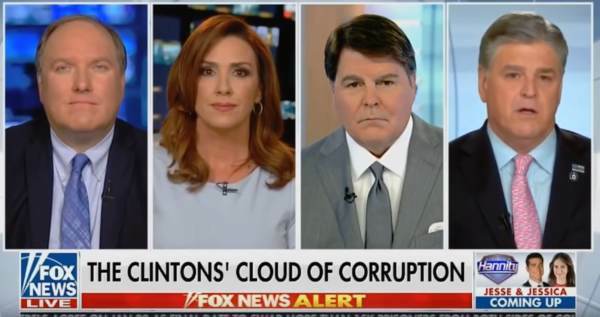 On Tuesday Sean Hannity invited journalists Sarah Carter and John Solomon and attorney Gregg Jarrett on to discuss the recent developments in the Washington DC swamp. At the end of the segment Sean Hannity delivered some much-needed good news to Trump supporters. Towards the end of the segment Sarah Carter said there were, “Lots of sealed documents, Sean. Lots of sealed indictments,” about to drop. Sean Hannity: I know that everybody’s frustrated because this has only been a one-sided investigation, on all things Trump. But, and I think you will all confirm with me is that my sources tell me that all of this is coming out, from the dossier, the FISA abuse to the Uranium One deal. All agree?… I have very good sources. You guys do too. They better act quick. The deep state vultures is circling the president. Trump administration officials better act quick.